Welcome to FACE Children's Center! FACE Children's Center is a private, non-profit day care center serving the Metro West community since 1970. 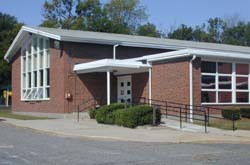 Located on 106 Walnut Street in Natick, Massachusetts, we offer a preschool environment in a day care setting. 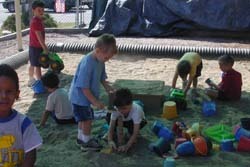 We were accredited by the NAEYC in 1996. Currently, we are in the self-study phase of accreditation and will submit our candidacy this year. Our teachers follow the Massachusetts Early Childhood Program Standards for curriculum development. We hope that this web site will help to provide you with information about our center, curriculum, enrollment information, staff, policies and parent involvement. If you are interested in learning more about FACE Children's Center, please contact us! "I have the best of all worlds at FACE. I hear the wonderful noise of children, get to lead a great staff and give support to families." 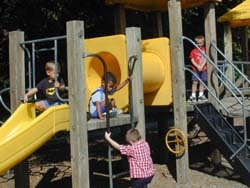 are dedicated to creating an open and fun environment for the children.